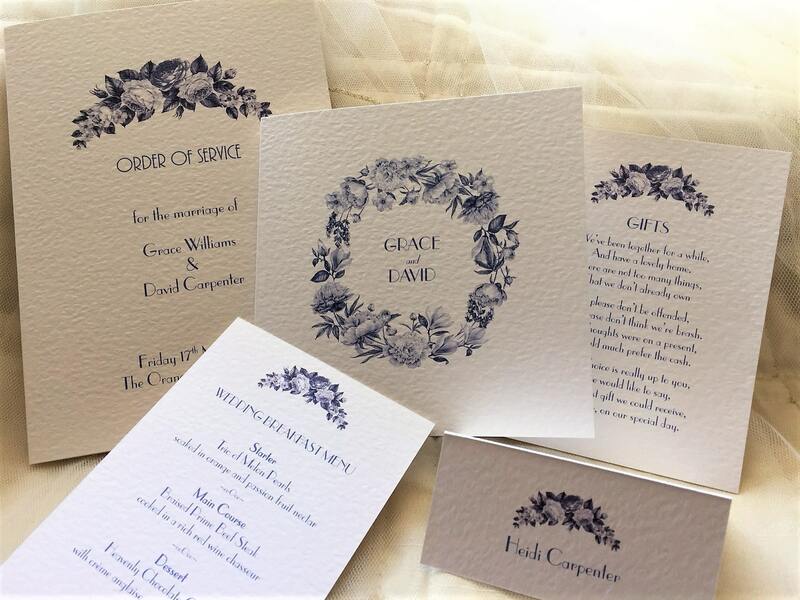 Blue Botanical Small Order of Service Books, our smaller books are suitable for all types of wedding ceremony. 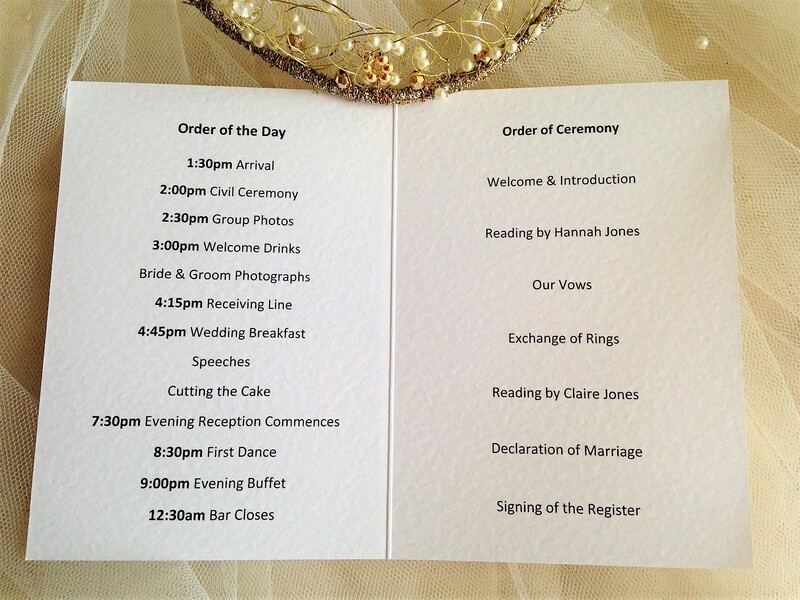 Our books are printed with all your personalised details regarding the wedding ceremony including music, readings and poems. We can also include the timings throughout your day, ie. Pre ceremony drinks, ceremony, photographs, wedding breakfast, cutting the cake, evening reception and carriages. 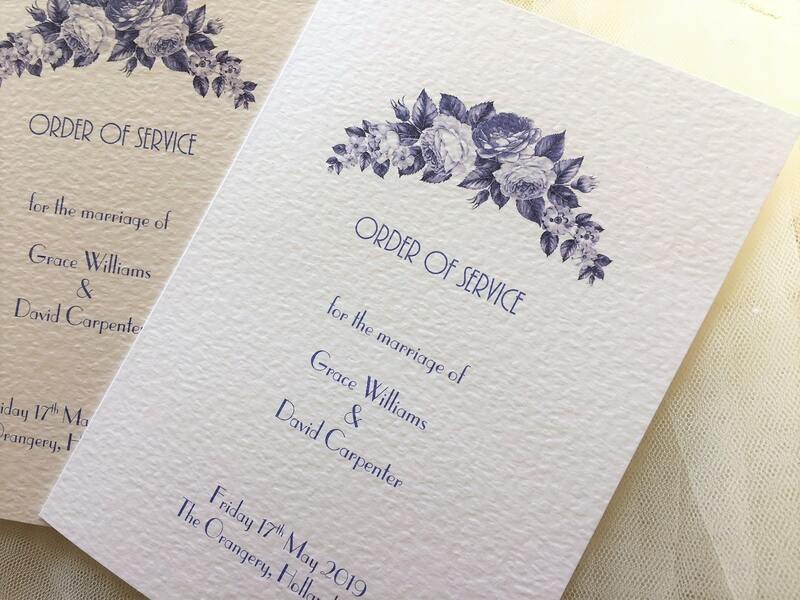 We include the bride and groom’s names, date of wedding and church/venue details on the front cover. Alternatively to the designs shown we can include a favourite photograph of the bride and groom or the church/venue itself. 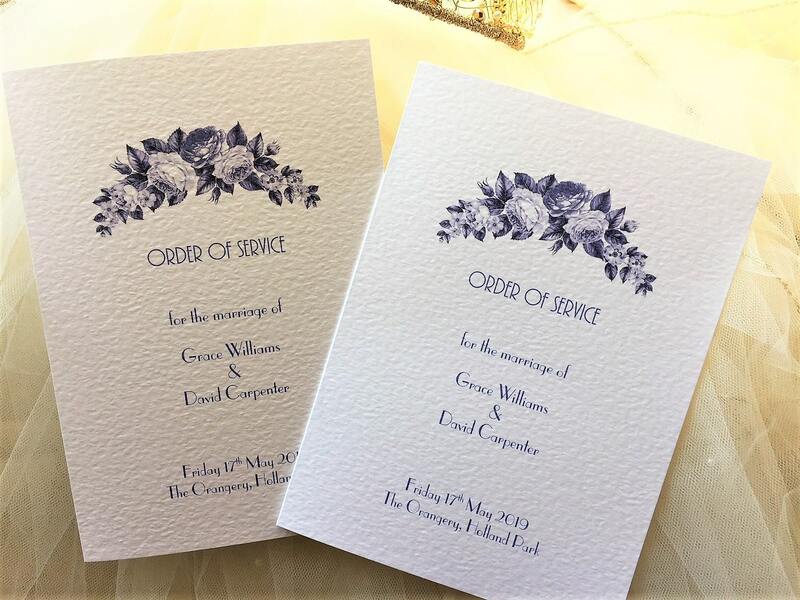 Order of service books can be printed in a typeface of your choice and finished with a luxurious ribbon in satin or organza to match your colour scheme. We provide proofs for approval by email which you may wish to check with your venue or registrar before we print your books. Blue Botanical Small Order of Service Books also make a lovely memento of the day, as guests like to take them home as a keepsake. 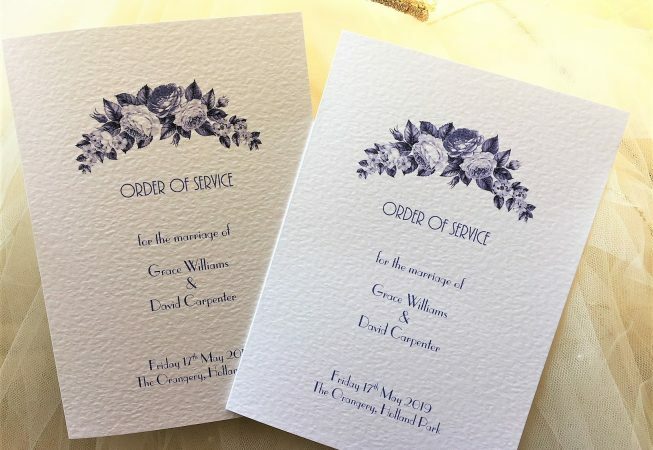 Blue Botanical Small Order of Service Books form part of our Blue Botanical Wedding Stationery Range.